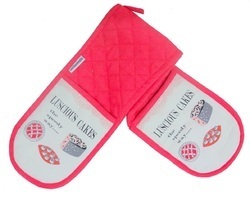 Offering you a complete choice of products which include bakers double glove, chefs double glove, custom embroider double oven glove, heat resistant double oven glove and printed cotton double oven glove. We are leading manufacture and exporters of all kind of BAKERS DOUBLE GLOVE. We offer wide range of BAKERS DOUBLE GLOVE. We are leading manufacture and exporters of all kind of CHEFS DOUBLE GLOVE. We offer wide range of CHEFS DOUBLE GLOVE. 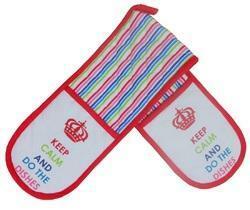 We are leading manufacture and exporters of all kind of CUSTOM EMBROIDER DOUBLE OVEN GLOVE. 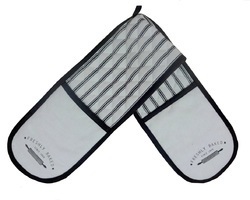 We offer wide range of CUSTOM EMBROIDER DOUBLE OVEN GLOVE. We Are Leading Manufacture And Exporters Of All Kind Of Heat Resistant Double Oven Glove. We Offer Wide Range Of Heat Resistant Double Oven Glove. 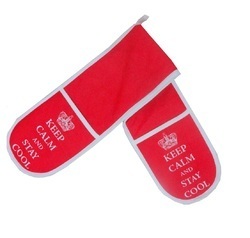 We Normally Provide Seasonal Heat Resistant Double Oven Glove Like Christmas, Halloween , Valentine Day, Easter Etc. We are leading manufacture and exporters of all kind of PRINTED COTTON DOUBLE GLOVE. 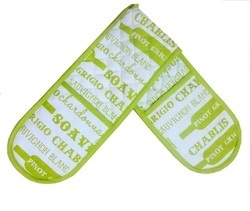 We offer wide range of PRINTED COTTON DOUBLE GLOVE.